This tour gives you the best spring experience. 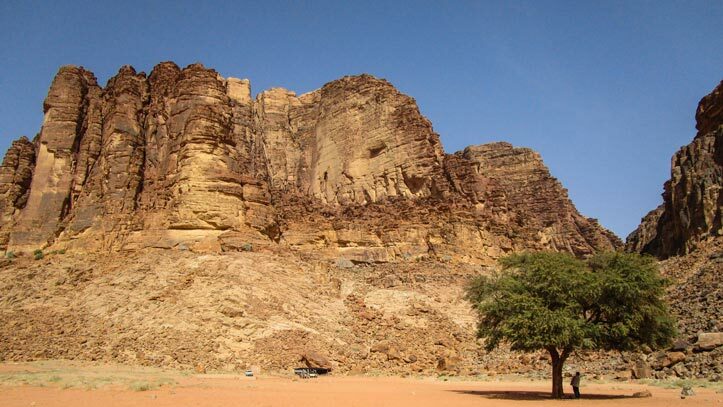 During the day you visit the most famous sites within the protected area. And we will take you to places that are particularly beautiful during spring.We end the day by watching the sunset. 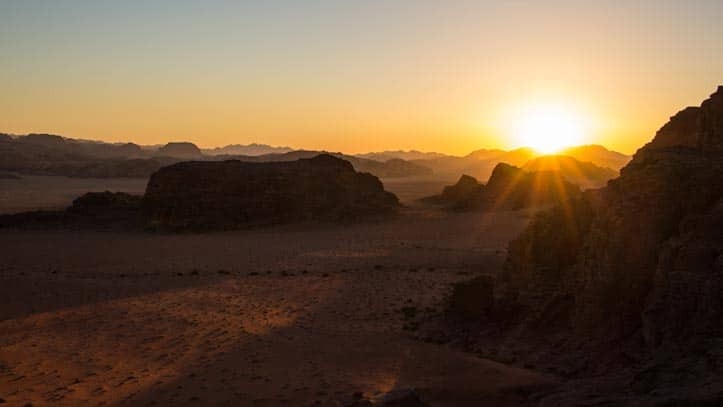 For the overnight stay, you can opt for our camp, Wadi Rum Base Camp, or the more adventurous bivouac camping (sleeping outside). A short ride brings us to the natural spring called Lawrence spring. 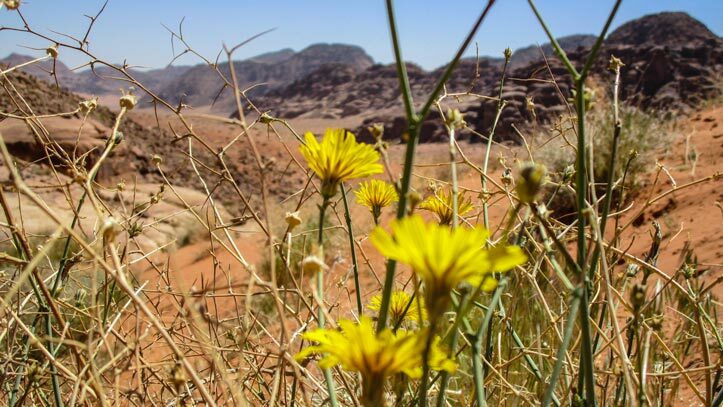 You scramble the spring to enjoy the spectacular views across Wadi Rum desert. 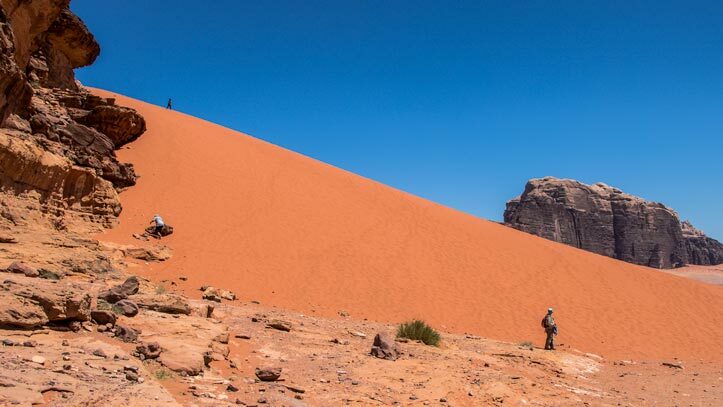 We continue our drive to a red sand dune. You can climb the dune and enjoy running down. 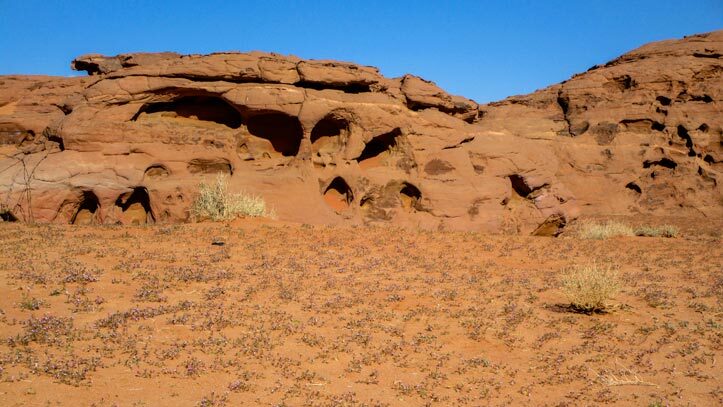 Afterwards, we head to Khazali canyon. 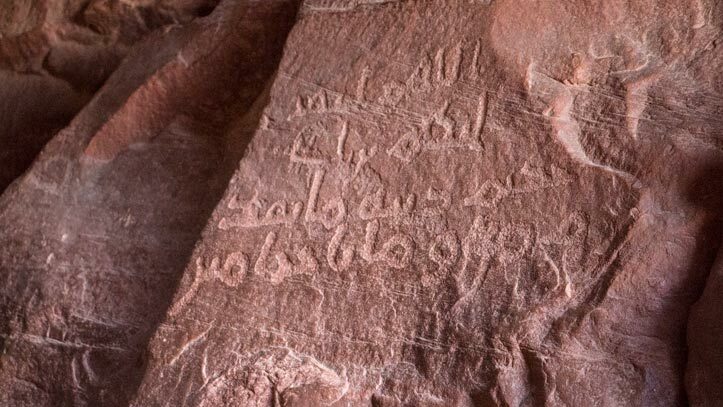 Here you see ancient inscriptions and a waterhole. Our next stop is Little bridge. It is easy to climb and you can enjoy the beautiful spring valley. 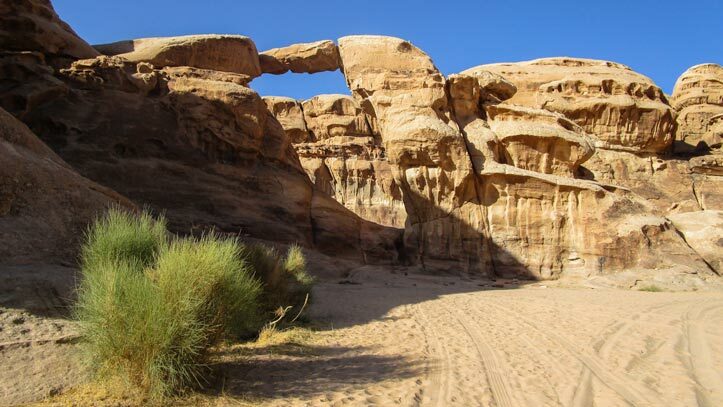 The afternoon starts with the beautiful drive to the Jabal Burdah area. We watch Burdah rock bridge from the spring valley floor. After our short stop, we continue to Um Fruth rock bridge. 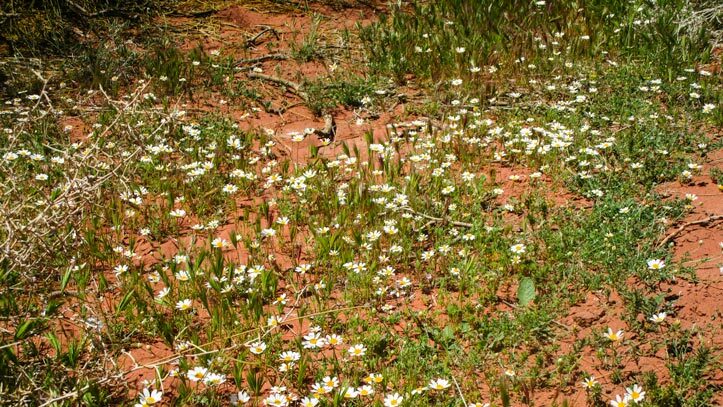 Here we also see flowering plants. 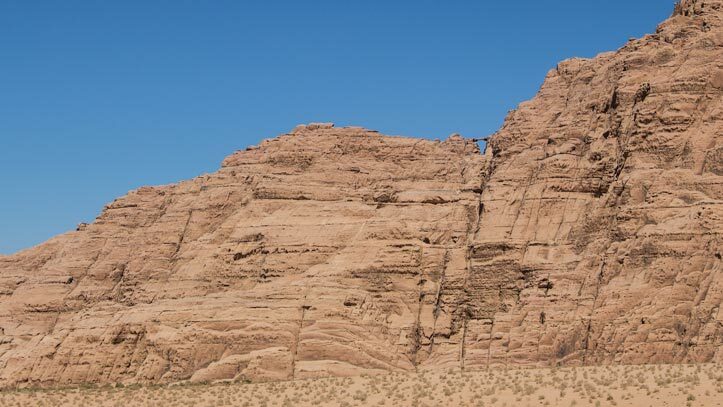 You can climb this bridge and enjoy the views of this part of Wadi Rum desert. Our next stop is Um Mugur. Here you see the beautiful spring landscape once more. Before going to Um Sabatah to enjoy sunset we visit the lovely area of Al-Tak. Our tour prices are based on shared touring. Our maximum group size during the tour is eight persons. For bivouac camping, the maximum group size also is eight persons. We determine your price based on the number of people who are in your booking. Single travellers get a discount if we can let then share their tour with other guests. 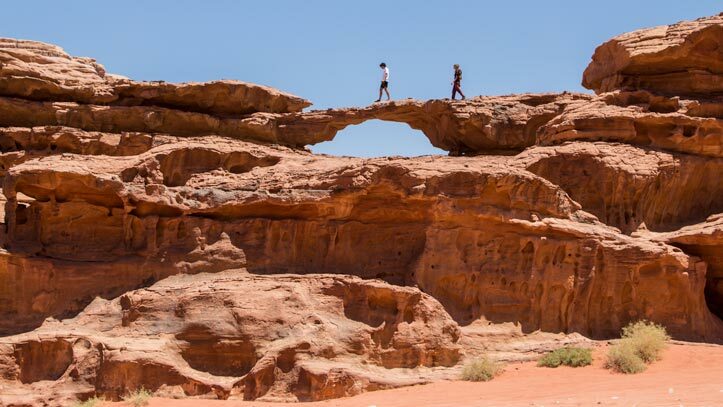 This price includes a camel guide and 1 camel per person. Children under the age of 7 get 50% discount. Children under the age of 13 get 25% discount.